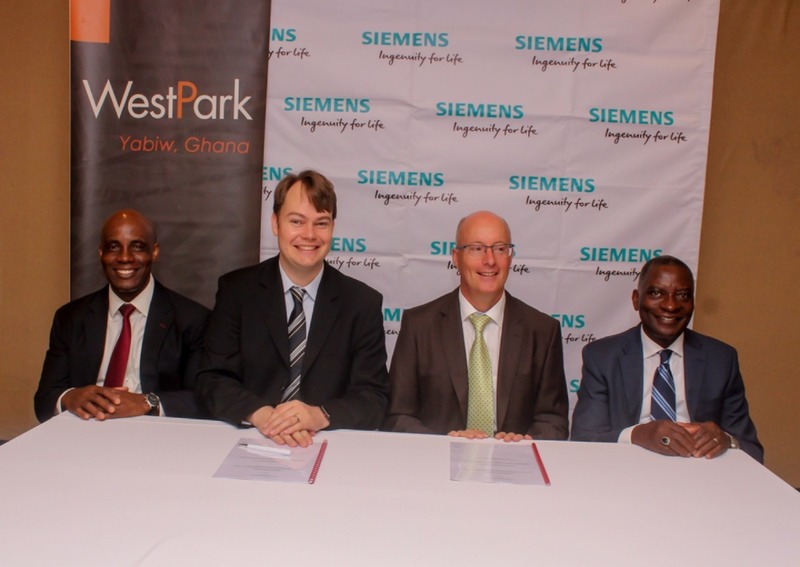 Siemens has announced the signing of a Memorandum of Understanding (MOU) with WestPark Enterprises to develop an expandable microgrid solution for the fast-growing industrial and business park based in Takoradi, Western Ghana. The WestPark aims to eliminate many of the challenges faced by companies doing business in Sub-Sahara Africa, such as access to reliable power, water, broadband internet and transport. The new industrial park is poised to accelerate the transformation of Takoradi – Ghana’s third-largest city. To lay the foundations for reliable, competitive and efficient energy, WestPark has entered into a partnership with Siemens. As part of the agreement, Siemens will develop a 250kW microgrid that controls the energy generation and throughput for the initial phase of buildings to be constructed at WestPark. Siemens will design the microgrid so that the first phase of WestPark can be powered entirely by renewable energy and therefore provide a sustainable and cost-effective solution for tenants. The microgrid will be powered by onsite photovoltaic panels. A back-up battery storage solution will be sourced as well. The grid can be expanded as more buildings are added with the aim to ensure that the park remains powered by renewable energy. Siemens is specifically committed to economic growth across Africa, and in doing so in a forward-thinking manner by implementing environmentally sustainable solutions that will help its partners and customers succeed in today’s environmentally-conscious global market. WestPark is a 405-acre commercial, industrial and residential development, forming part of one of several developments by BlackIvy, an American company building and growing enterprises in East and West Africa. The WestPark offers companies the platform to produce goods and do business more easily with West Africa’s growing markets. The WestPark offers custom-built warehouses, factories, offices, and retail space alongside business development services to ease the entry into one of the world’s fastest-growing markets. Siemens AG (Berlin and Munich), is a global technology powerhouse that has stood for engineering excellence, innovation, quality, reliability and internationality for more than 170 years. The company is active around the globe, focusing on the areas of electrification, automation and digitalization. One of the largest producers of energy-efficient, resource-saving technologies, Siemens is a leading supplier of efficient power generation and power transmission solutions and a pioneer in infrastructure solutions as well as automation, drive and software solutions for industry. With its publicly listed subsidiary Siemens Healthineers AG, the company is also a leading provider of medical imaging equipment – such as computed tomography and magnetic resonance imaging systems – and a leader in laboratory diagnostics as well as clinical IT. In fiscal 2018, which ended on September 30, 2018, Siemens generated revenue of €83.0 billion and net income of €6.1 billion. At the end of September 2018, the company had around 379,000 employees worldwide.